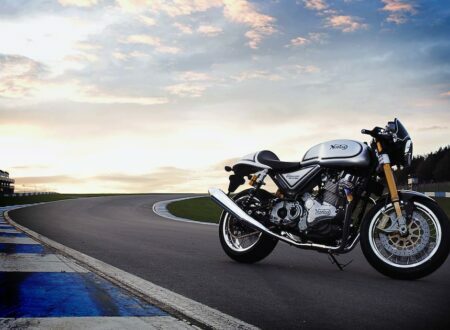 I was happy to learn last week that Norton Motorcycles have begun customer deliveries of the new Norton Commando 961 model. 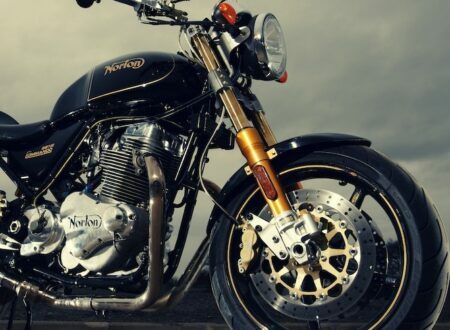 There had been some concern that the bikes weren’t ever going to ship due to financial issues but it now appears that, in true British style, they’ve hunkered down through the tough times and made it through. With a cup of tea in one hand and a biscuit in the other. 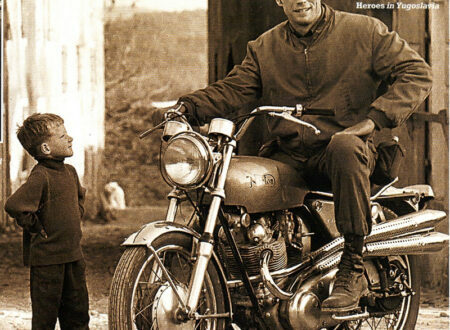 Clint Eastwood was well known for his love of cars and motorcycles in the ’60s and ’70s, he especially loved British marques like Jaguar, Austim Healy and motorcycle marque Norton. This 12 minute short film has no spoken dialog, instead it employs clever visual cues to tell a story. 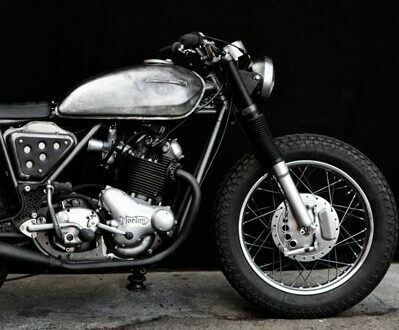 It takes place in London and follows a leather clad racer on his 1968 Norton Commando. 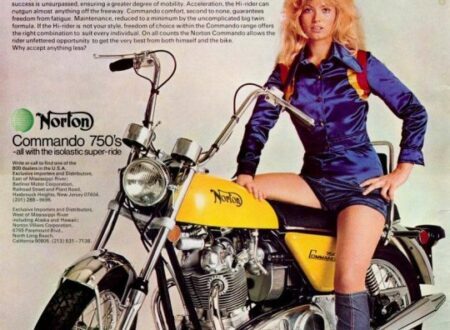 The 70’s were an iconic time to be an advertising man, political correctness was unheard of and all that was needed for a successful advertising campaign was a product with women on, in, under or around it. Or all of the above. You know you’re a motorcyclist when you look at a picture like this and your first thought is “Goddamn it she isn’t wearing appropriate safety gear”.